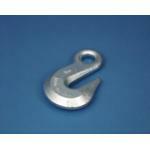 An anchor snubber is an important add-on when using an all chain rode. After setting the anchor, slip the hook onto a link of chain and tie off the 3-strand nylon tail. You can then let out additional chain with the windlass, which transfers the anchor load to the snubber from the windlass. This makes for an easier and quieter ride as the nylon tail will stretch slightly as the load of the boat on the anchor changes. 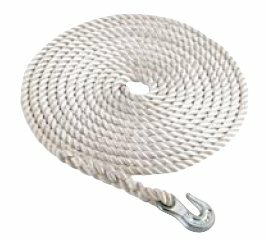 Imtra uses high-strength ACCO chain hooks in our snubbers and offers these as separate items so you can build a snubber to fit your specifications. 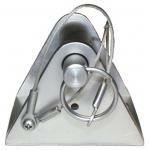 An anchor snubber is an important add-on when using an all chain rode. 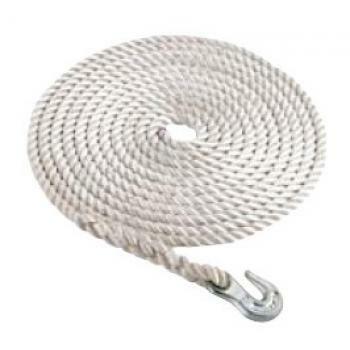 After setting the anchor, sl..
Imtra uses high-strength ACCO chain hooks in our snubbers and offers these as separate items so you ..
Our stainless steel chainstopper accommodates chain from 1/4in - 3/8in and features a removal pawl (..